An 8-year-old boy sent a touching message to the victims of the Brussels attacks on March 22. The child was confused about what happened at first. “I kept asking my dad what actually happened,” said the boy to Zoomin.tv. They’re literally all not bad people. After learning about the terrorist acts, for which ISIS has claimed responsibility, the boy shared a wise message with a piece of chalk on the concrete. “Do not hate Islam, do not blame Islam,” he wrote. “Because they’re literally all not bad people,” he added. 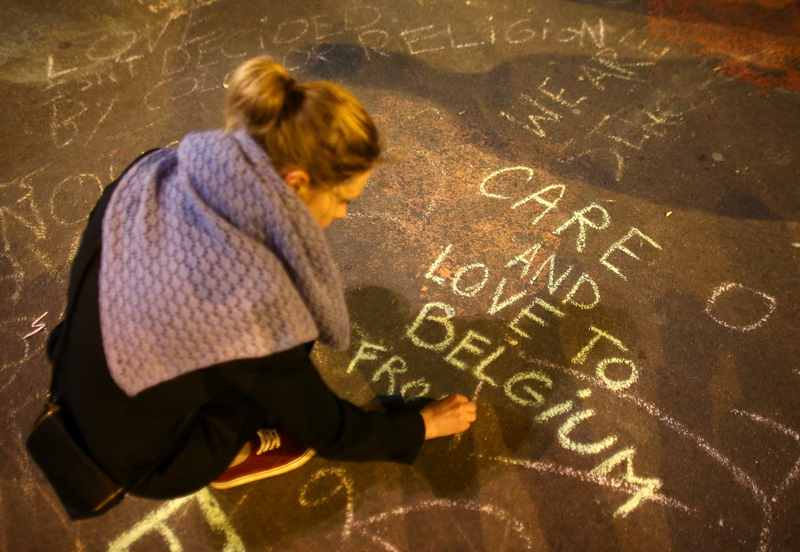 His comments come after three blasts hit the capital of Belgium. At least 31 people were killed and 270 were injured. The bombs were detonated by three suicide bombers at the Brussels airport and metro system. 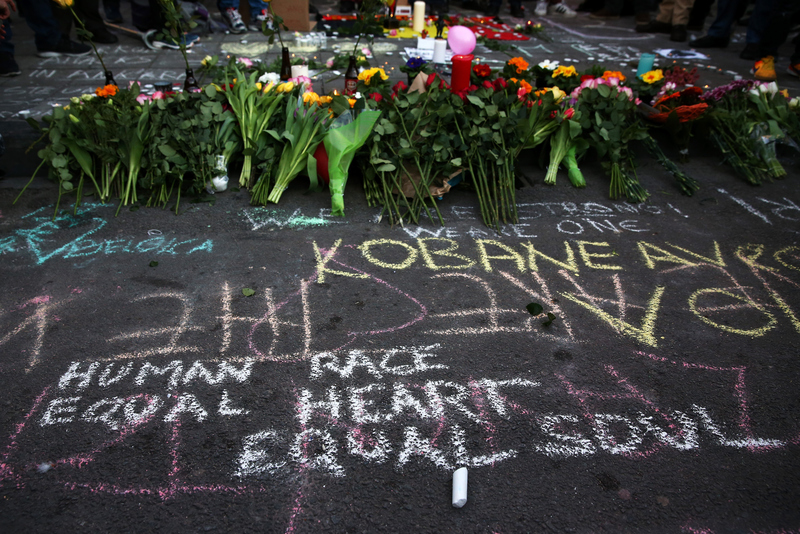 After the attacks many others also wrote messages of support on the ground of a pedestrian strip outside the stock exchange in Brussels. The messages were written in various languages including, French English, Arabic and Flemish. Although many had come together to show support, the 8-year-old said he feared for his safety because of the terrorist attacks.